Two B or not Two B? The rubber bumper MGB has traditionally been cast as the classic car equivalent of the Bogey Man. It has signified everything wrong about the British motor industry and been a byword for naffness. I have to confess I bought into that storyline hook line and sinker. I never got as far as driving one because the 'safety' bumpers and raised ride height put me right off. But I'm beginning to wonder what all the fuss was about. Put a rubber bumper B and a chrome B back to back, as we have here, and you have to admit it isn't that bad. What were once ugly bolt on black bumpers now look more integrated and appropriate, less Botox face lift, more bold rethink. I don't think I'm alone: attitudes to the last B have definitely mellowed, a combination of Old Father Time working his traditional magic and new generations having no idea what all the fuss was about in the first place. I'm with them. 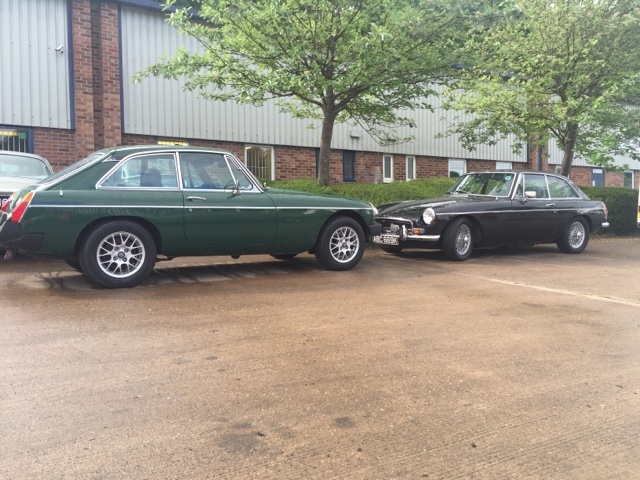 When we were offered a very nice '81 BGT to put on our hire fleet I finally had to face my demons and make a choice - I chose 'yes'. 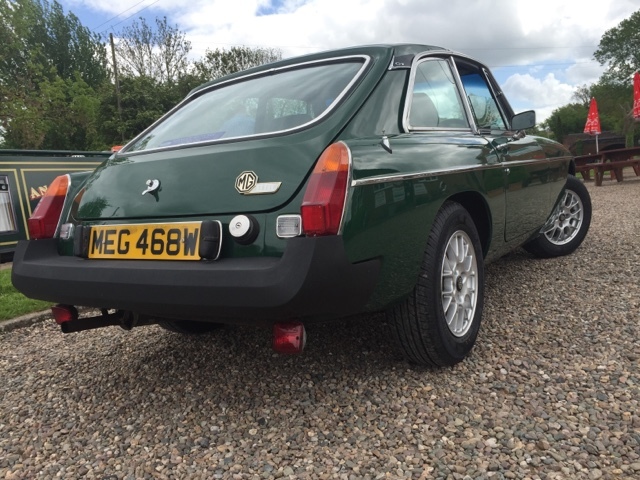 I'm really glad I did because the last MGB GT is a genuinely well sorted car that demonstrates hitherto overlooked progress compared to the earlier cars. It's better built, it rides better, it steers better and it's more comfortable - all essential 'Grand Tourer' assets. 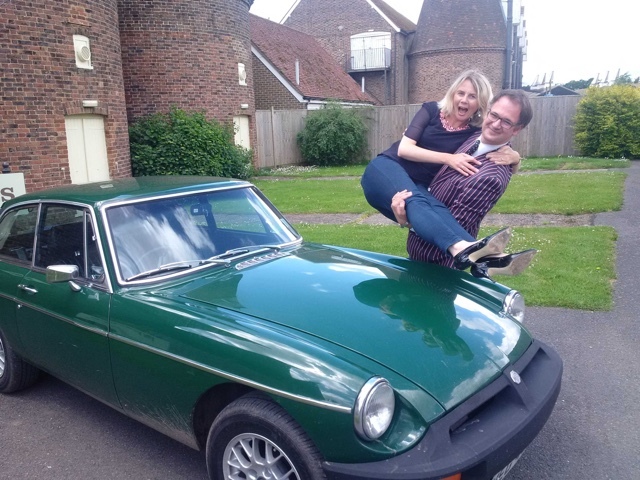 Our new BGT has already become a TV star, joining our Antiques Road Trip fleet, and is popular with customers, none of whom have mentioned the rubber bumper dilemma. So perhaps it's a dilemma no more. The chrome bumper BGT is still the better looking car, but the later car has plenty of attributes and improvement that make a decision between them harder than it first seems. Although you hardly feel 10 years hard progress in play, the later car is definitely more refined and more comfortable and has a better interior. Once inside, with the bumpers out of view, it is truer to the long distance GT ethos. MG became an outpost under British Leyland, suffering through politically motivated decisions that starved the Abingdon plant of investment. Ironic, then, that it is the only marque to survive that era. That the firm managed to eke out an existence around a hugely outmoded car is testament not only to how good the original B was but also how clever MG's team were at tweaking and improving the car for modern motorists. 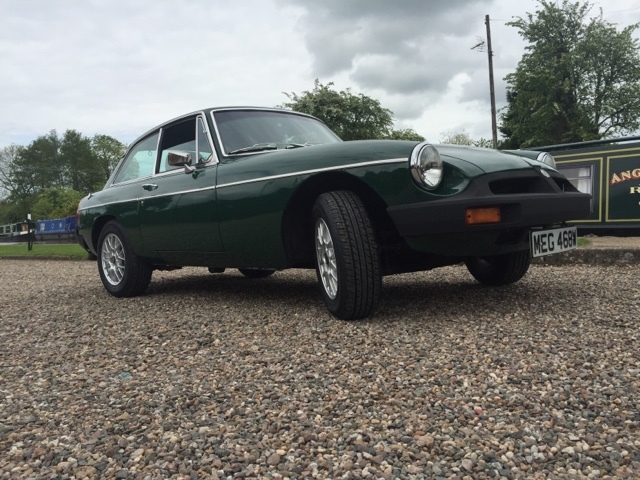 The final MGB is a good car and it's time to bring it in from the cold. At Great Escape Cars we've started that process by offering this high quality example for hire. Watch it on TV soon or hire it from £150 per day. Find out more at wwww.greatescapecars.co.uk or call 01527 893733.